For the Honey-Lime Vinaigrette Combine lime juice, honey, salt, and pepper in a food processor or bowl. Stream in olive oil while processing, or slowly add while whisking. Taste and adjust seasonings if necessary. 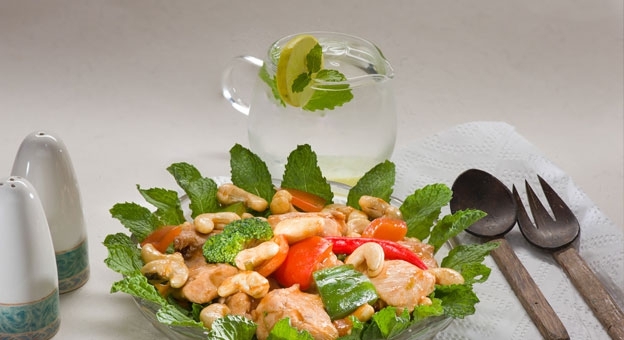 Divide lettuce between plates then top with cooked chicken, tomato, green pepper, broccoli and 2 Tablespoons delinut cashews each. Drizzle with dressing and then serve.